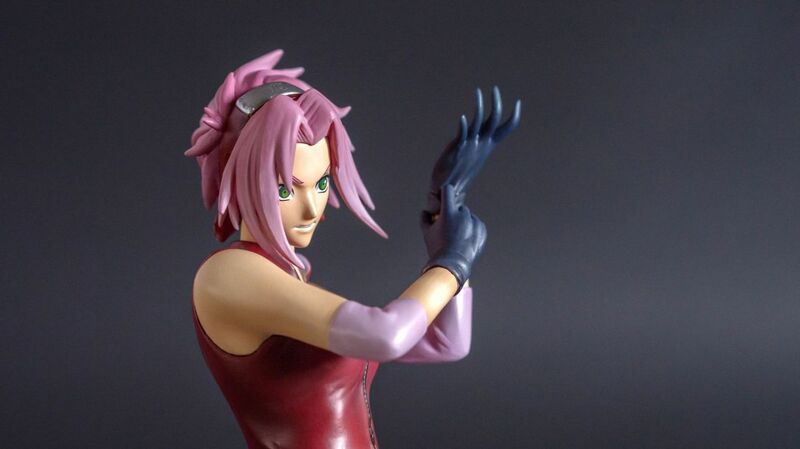 Sakura Haruno, one of the main character of the anime Naruto Shippuden. 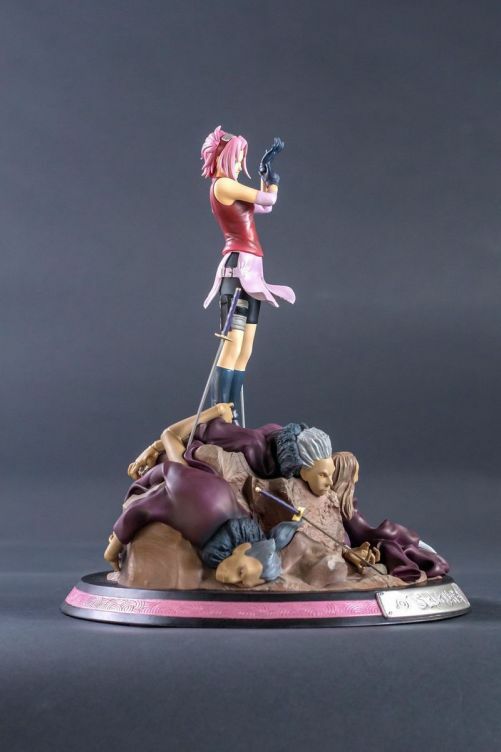 Sakura Haruno statue, standing on top of three sasori's puppets. High quality Packaging with serial number, limited serial metal plate. Sakura Haruno was in Team 7 with Naruto and Sasuke. When he disappeared, Sakura realized she was weak and she had relied on Naruto too much. She decided to train with Tsunade so she would become an asset to Konoha and she could support Naruto. Nonetheless did she become a great medical ninja but also she used her precise chakra control to develop her tremendous physical strength. 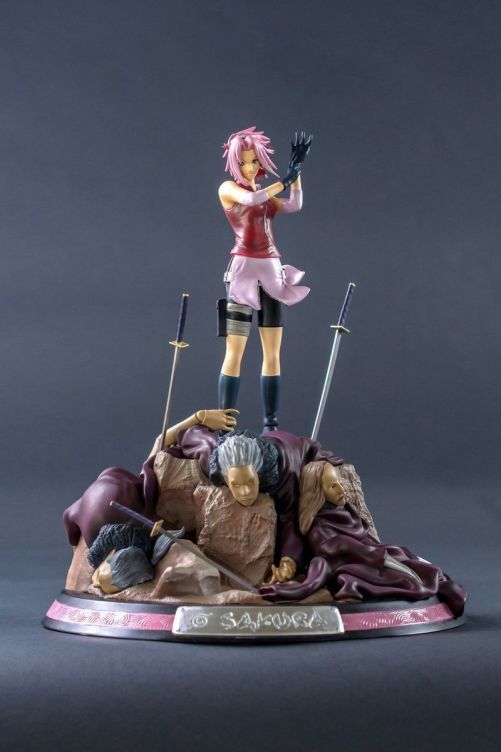 Sakura is sculpted standing amongst Sasori's defeated puppets. She is still feisty and determined. Sakura - Undefective bond is the second statue, with Naruto - Summon of Gamakichi to show the new and spectacular progression of our HQS by Tsume range. Standing on a mount where three puppets are lying defeated and lifeless, Sakura is facing us with an unwavering determination. The wind is softly moving her hair and clothes. As she beat sasori's puppet army, she his putting her glove back on and now, she is silently defying her opponent with a firm look. The bright colors of the top of her uniform do contrast with the black of her sock and shoes. You can see different textures between the skin, fabric, hair... This emphasizes the strong points of the sculpt and its details while increasing the realism and dynamism on the cloth or the hair, for a gorgeous result. 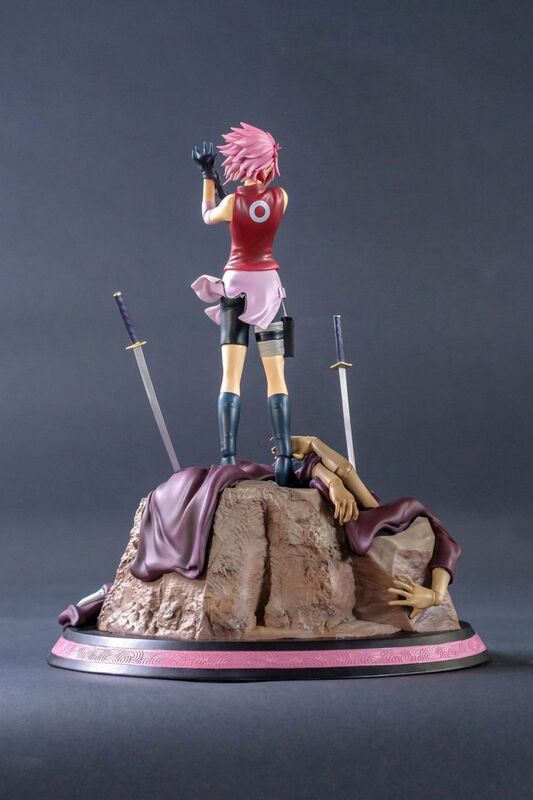 Sakura is standing on a mount where remains three of Sasori's puppets, defeated by the overwhelming power of Sakura. The only trace of will from these dolls is the one hand still grabbing Sakura's right leg as if it was trying to do as their master commands. Some katanas are also displayed on this base, last vestige of the incredible fight that took place one moment ago. The whole statue is very balanced and shows power as well as serenity. It passes the firm determination of Sakura as she is just like the lull before the storm, preparing to storm out and face Sasori. Each puppet has been worked on differently in its sculpt and its paint. The purple color of their robe is reminds of Sakura's uniform while the metal claws and swords are contrasting strongly. The shattered puppets are emphasizing the destructive power of Sakura. And the small touch of color of the puppets eyes stress the delicacy of the whole piece. 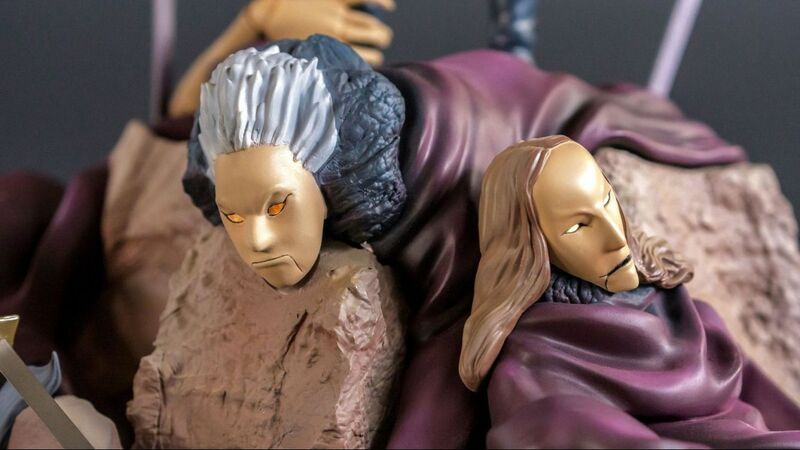 The black base displays the typical colored band of our Naruto Shippuden statues from the HQS by Tsume range. This time, the band is pink, the very color of Sakura Haruno and cherry blossom. Of course, you will find our usual nameplate with a metallic effect and the symbol of his village.